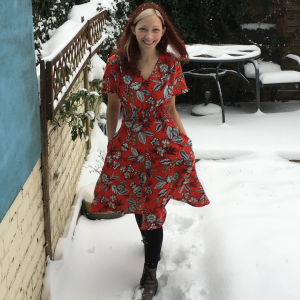 Lovely fabric and very brave to take photos outside! This looks lovely! I like the whirring, it’s not something I’ve tried before. Another hit Sarah, like this shape and colour on you and it must be very comfy to wear. 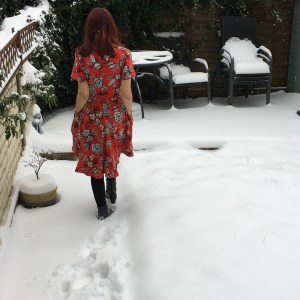 Can’t believe you went outside in this snow for the photos, such dedication! Gorgeous – really suits you! 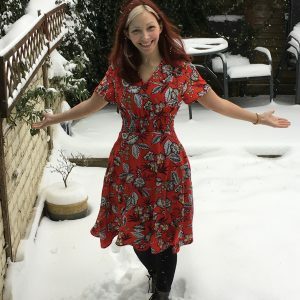 The Amelia (from a pattern free with one of the sewing magazines a couple of years ago) was one of my first makes now I’m back into dressmaking. 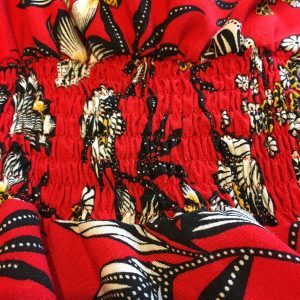 Such a nice easy one to wear… and a great pattern to learn shirring from!